Special Thanks to Colleague who had introduced this place for lunch. Never did i know that there is a hidden gem within the area of a country club. I always have the mindset that anything in the club is only exclusively for members and not the public but this is not the case. 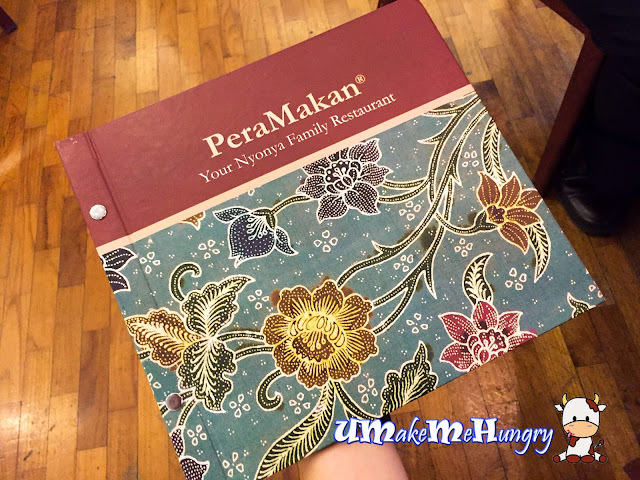 Talking about PeraMakan, it excites me as Peranakan Food is not commonly found and even if so it's only the few that we have been visiting. 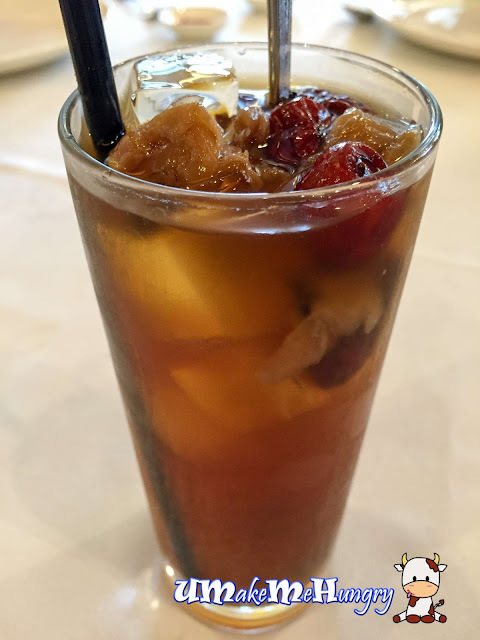 Starters for the Peranakan Cuisine is none other than their Ngoh Hiang. Meat with prawns were rolled and deeply fried. 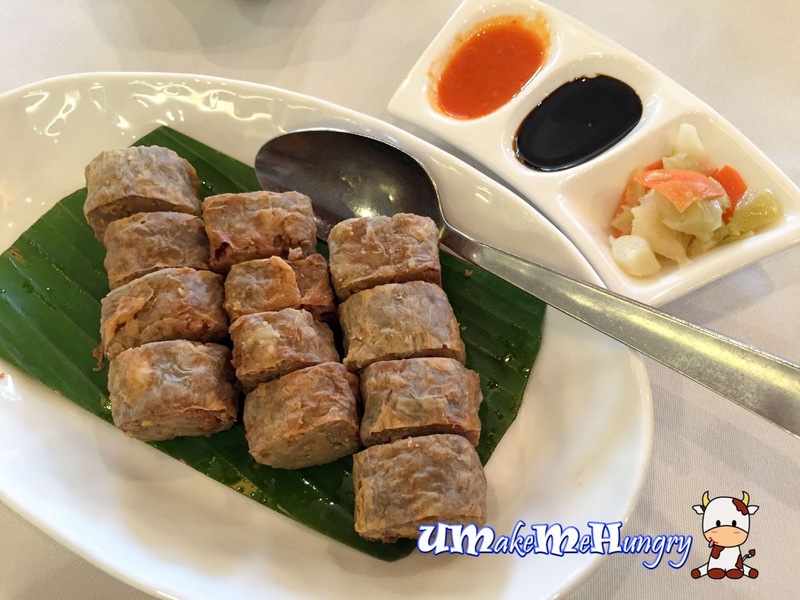 There were 3 rolls and they were all cut into 12 pieces, easiler to paired with the sweet sauce or a saucer filled with chilli, black sauce and Luak Chye. I felt that Buah Keluak makes Peranakan Cuisine outstanding in the sense that I have not come across other cuisine making use of this Indonesian black nut as part of their dishes ingredient. 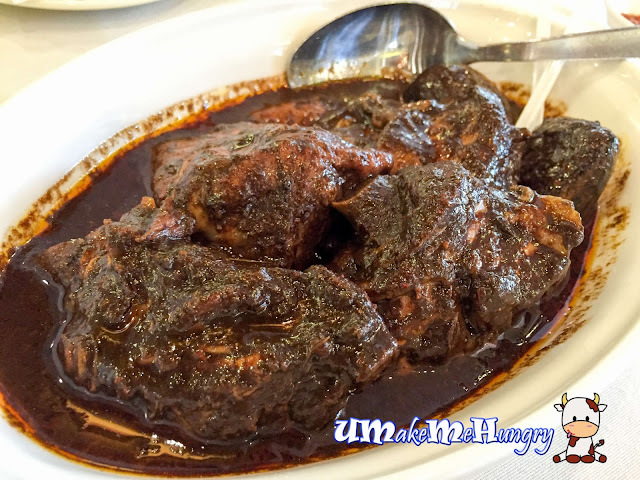 Chicken was braised and soften among the richness of the black nut and Garam Assam Gravy. 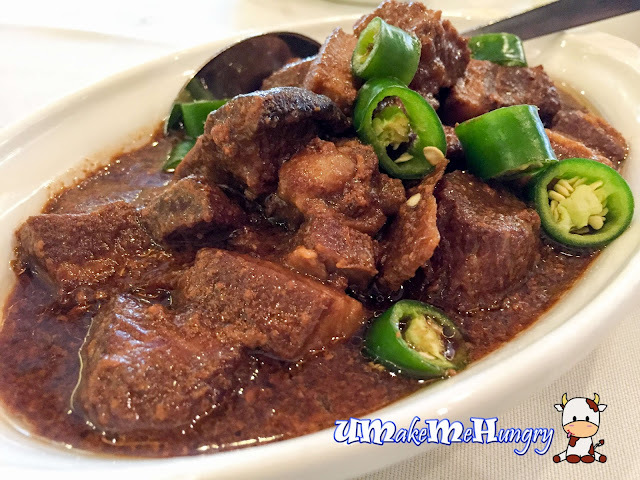 It might taste on a salty side if you are having just the dish alone without any plain rice. Do note that Steam Rice are served at $1 per head and refillable. For those who love Buah Keluak, each serving only comes with 2 nuts and special spoons were given to retrieve the flesh in the nuts. Braising in yummy tau cheo gravy, the dish was awesome. Pork belly was cooked with dried shitake mushrooms and winter bamboo shoots too. Presentation was dull in colors initially but was brightened up by the used of green chilli as garnishings. The default order that cannot be skip during a Pernakan Cuisine! 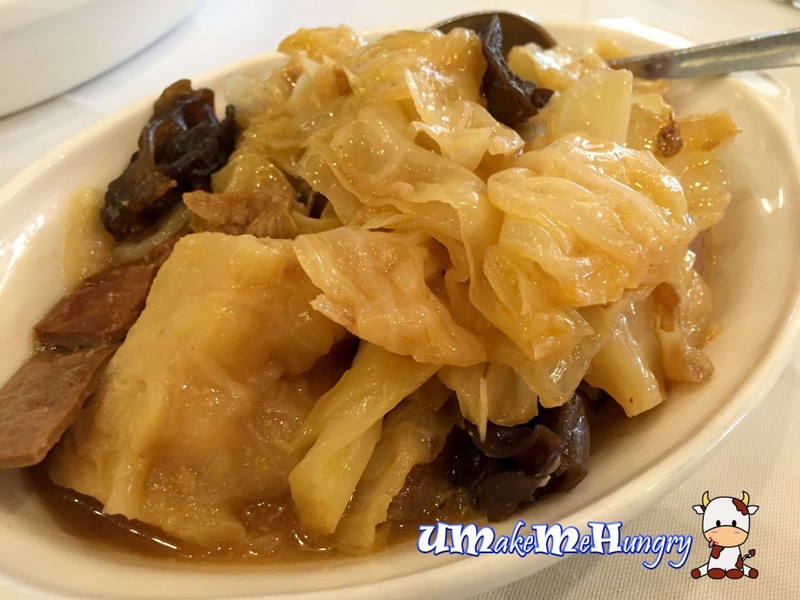 Simply loves its braised vegetables coupled with dried ingredients in bean sauce. The last to be served will be their red snapper fish head cooked in Nyonya Curry. 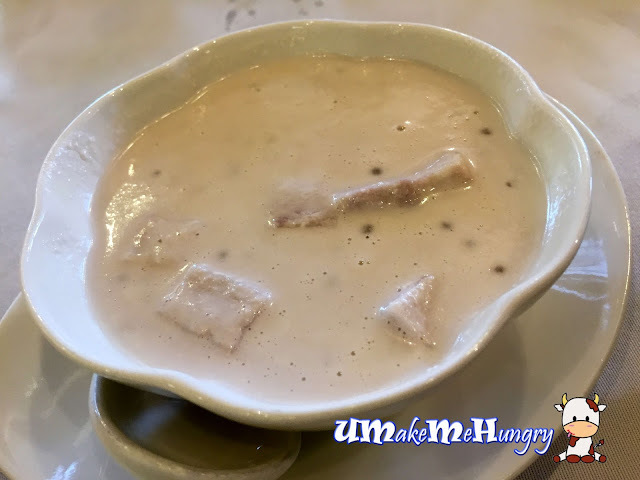 Curry gravy was very appetizing indeed and makes a perfect pairing to the white rice. 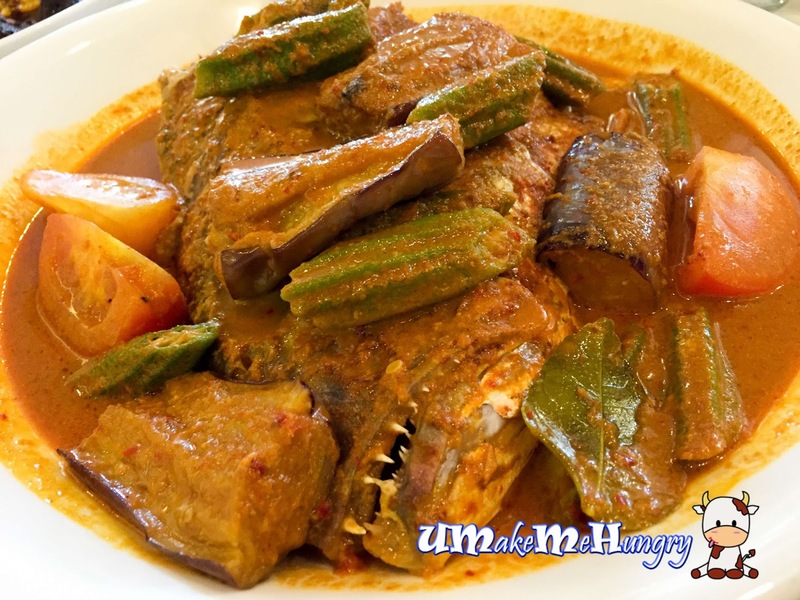 Assorted vegetables like egg plant, lady's finger and tomato among the items in the curry. Fish head was relatively fresh and was pleasing to the tastebuds. There can never be short of the taste of Gula Melaka here in their Chendol. Our desserts were shared among 5 of us and it was not a bad idea too. 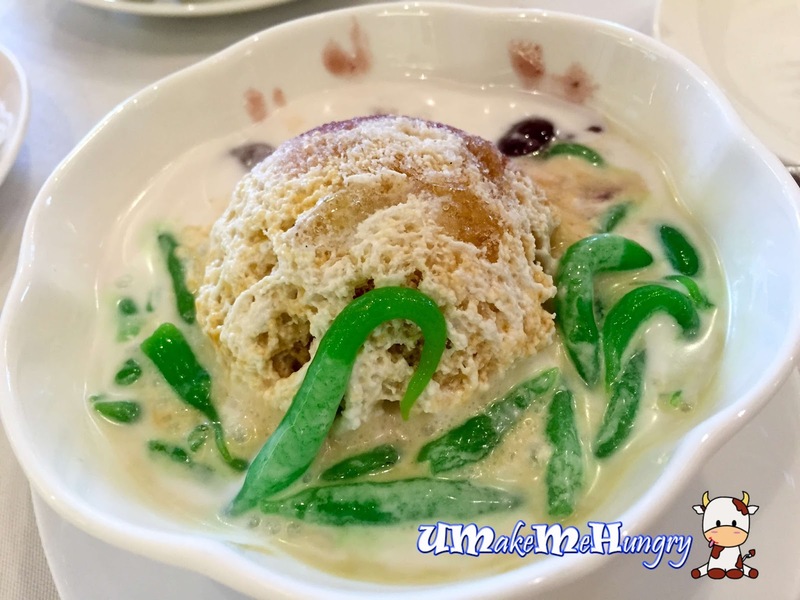 With freshly squeeze coconut milk over shaved ice with chendol strips and kidney beans, its all what you can find all in a bowl of chendol. Buboh Cha Cha can be served either hot or cold, depending on your liking. The best thing is that freshly squeezed coconut milk was used and was good with yams, sweetpotatpes cubes that was steamed to its softened form, not forgettging my favourite tapioca jujubes! Desserts for Durians lovers! Serve in a plate of 4. 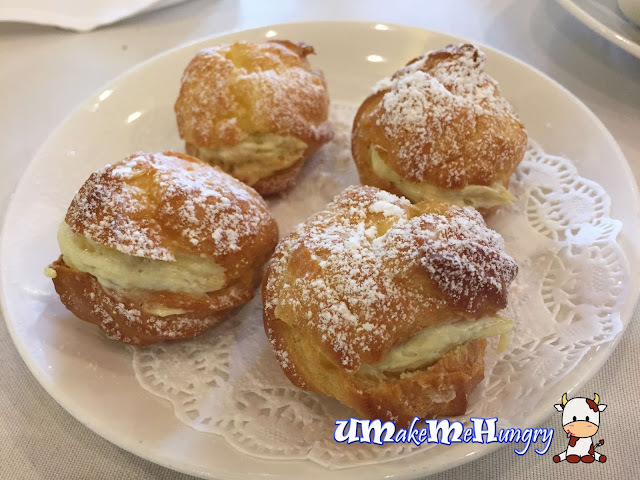 These choux pastry was filled with delicious D24 durian mousse. Taste was good but if they can come in chilled form, it would be perfect. 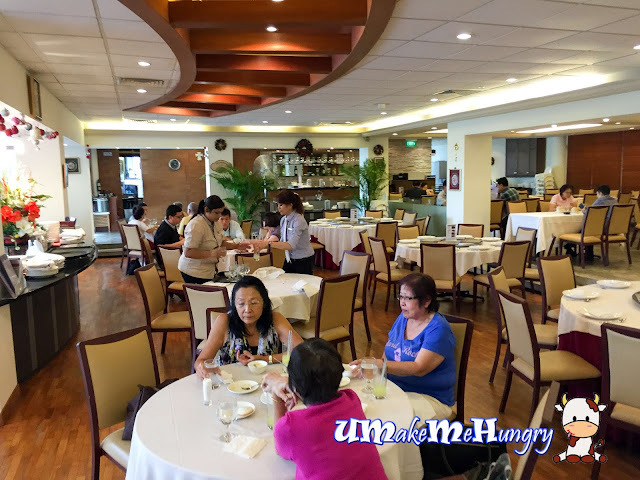 Knowing that Peranakan dishes are never too easy to prepare and requires alot of perparation, they were always priced at a dearer side, that includes dining in PeraMakan. However, I find that the cuisine serve here is rather authentic and was not too commercialized like other places. However for parking, it may cost a bomb and you might want to take note.